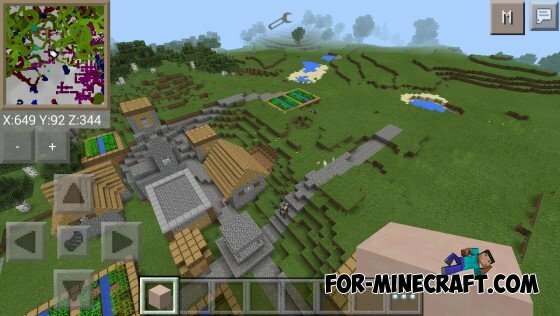 3D Minimap Mod adds a mini-map in Minecraft Pocket Edition. This map will greatly help you to orient in terrain. This is the first version and it is limited in functionality. Added head-icons of mobs on the map. This mod adds a mini-map that will help you in the long journey! 1. After installation, in the upper left corner will be a special little visible icon. 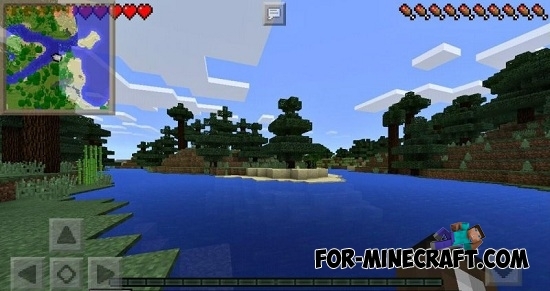 Click on it and you will see a mini-map that will show any surface of the world, including the cave (it is possible to change the settings: miniMap type). 2. At the bottom are the coordinates that will help you not to get lost (x / z - latitude and longitude, y - height). 3. The buttons of decrease or increase the scale of the map are located under the coordinates. 4. 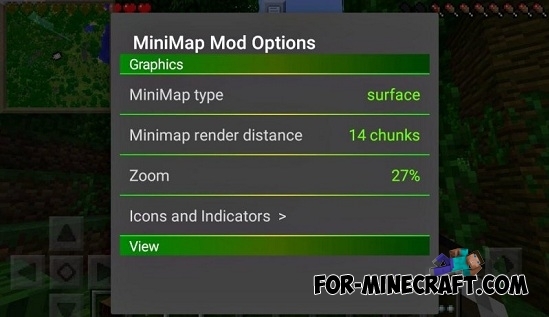 And you can expand the options of mini-map. - Now the cave shown on the map!